Taking on any damage to your vehicle can be a frustrating and stressful experience. Navigating through the insurance issues related to that damage can be even worse. If the problem is something mainly cosmetic, such as a dent or scratch, it's highly likely you can get it fixed through a full coverage insurance plan. However, that decision could end up costing a lot more than you think. Most people won't use their insurance for cosmetic problems as long as the car still runs. They'll just put up with the bad look. Some people don't even carry full coverage on less valuable cars, so they have no intention of ever paying for self-inflicted light damage. Full coverage is nice to have, though, in case you get a dent so deep the entire panel of a car needs to be replaced. That will cost more than a simple fix, and could require all of your available insurance options. If you're considered the responsible party in a two-car wreck, your insurer is on the hook for repairs to both cars. Your car is protected by collision coverage, while your liability protection pays for the other car. 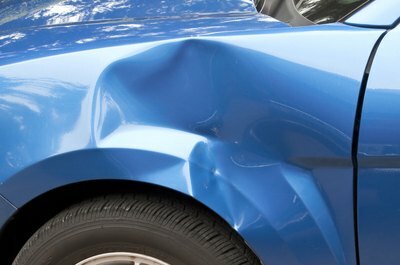 Dents and scratches are usually included as reparable items if they were caused by that accident. If they're the only problem, you'll have the choice to pay for them or not based on your deductible. If the other driver is at fault, his insurer covers your dents and scratches along with other repairs. Dents and scratches are common types of damage with comprehensive claims. 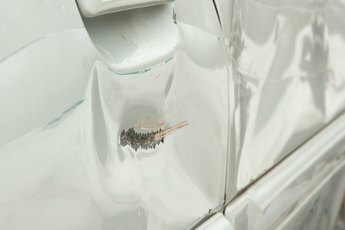 If a car backs into you in a parking lot and drives off, the car gets struck by a ball or someone scratches your car with keys, your comprehensive protection takes care of the repairs. 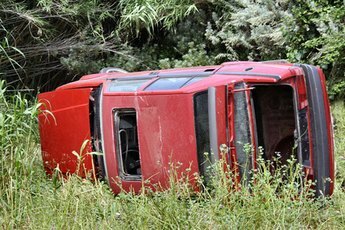 The deductible applies just as it does under collision protection. If these nicks aren't too bad, and you're responsible for them, it may make more sense to fix them yourself. Some could be such low-cost repairs they won't exceed your deductible anyway. Even if they do, and it's not by much, filing a claim for such a small matter could encourage the insurance company to raise your premium. On that point, if you're the cause of minor damage to another vehicle, offer to pay for it out of pocket. If you can keep the insurance companies out of the matter, both of you can avoid potential premium hikes. 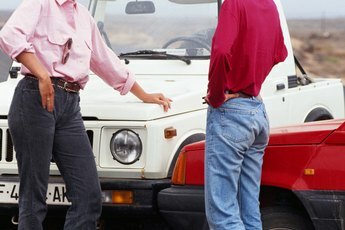 Does Any Insurance Cover Personal Belongings If the Car Was Unlocked? Does Renter's Insurance Cover Accidental Damage? What if My Car Got Hit When I Valet Parked? Does Insurance Cover an Unlocked Car?